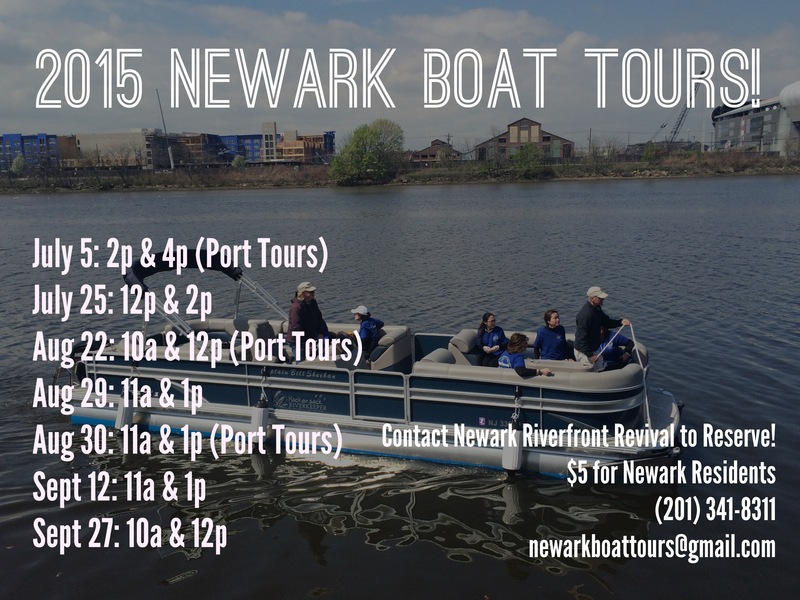 Reserve Your Tickets for Newark Boat Tours Now!! Celebrate America’s Independence this weekend with a one of a kind Newark Port Tour with Hackensack Riverkeeper! PayPal using email address newarkboattours@gmail.com. Don’t forget to mark your date and time! This entry was posted in Uncategorized on June 29, 2015 by riverfrontcoordinator. 2nd Annual Praise by the Passaic Gospel Festival Postponed Until July 5th! Please be advised that the 2nd Annual Praise by the Passaic Gospel Festival hosted by Dr. Albert Lewis has been postponed until Independence Weekend! 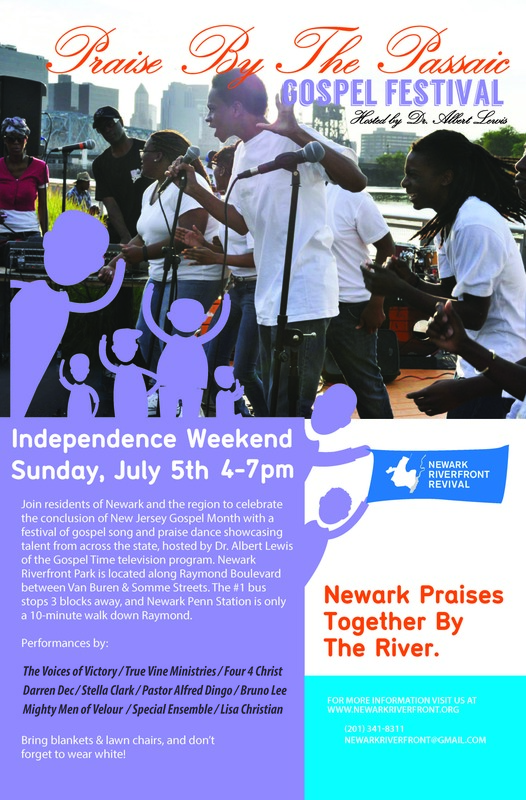 Join us next Sunday, July 5th from 4-7pm at Newark Riverfront Park as we gather together to praise by the river! Don’t forget to wear white! This entry was posted in Uncategorized on June 27, 2015 by riverfrontcoordinator. Riverfront News: River Day Postponed, Riverfront Chess, Praise by the Passaic & Ironbound Walkshop this Week! Last Saturday it rained on our parade and the 4th Annual Walk to the Water and River Day has been postponed until September (new date will be announced shortly!) Thanks to everyone for your support in promoting and volunteering for Walk to the Water and River Day. It may have rained on us on Saturday but we’ve got some exciting events later half of the week at Riverfront Park! We are thrilled to introduce our first Riverfront Chess days on Thursday, June 25th at 1:00pm at the Orange Sticks. Newark Chess Club will host chess lessons, games, and tournaments twice a month on the banks of the Passaic River at Riverfront Park. Come out and learn how to play or show off your skills as you enjoy the summer breeze of the Passaic River. 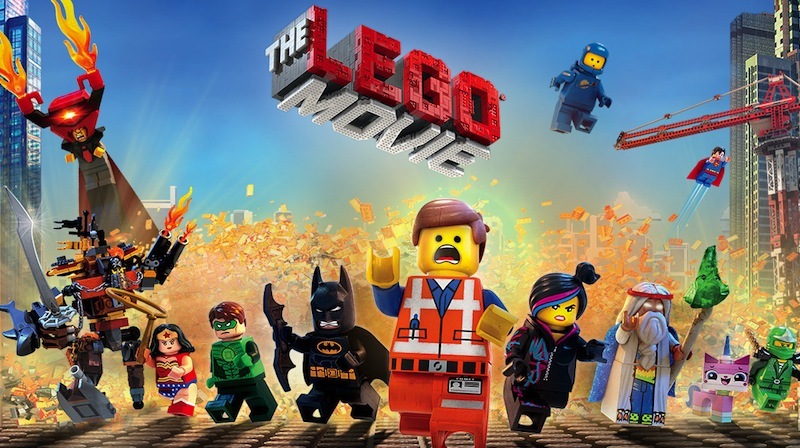 This Friday, June 26th, our friends at Riverbank Park (located across the street from Riverfront Park) on will host a Free Movie Friday with The Lego Movie at 8pm. Bring a blanket and your family and enjoy a night out in the Park. 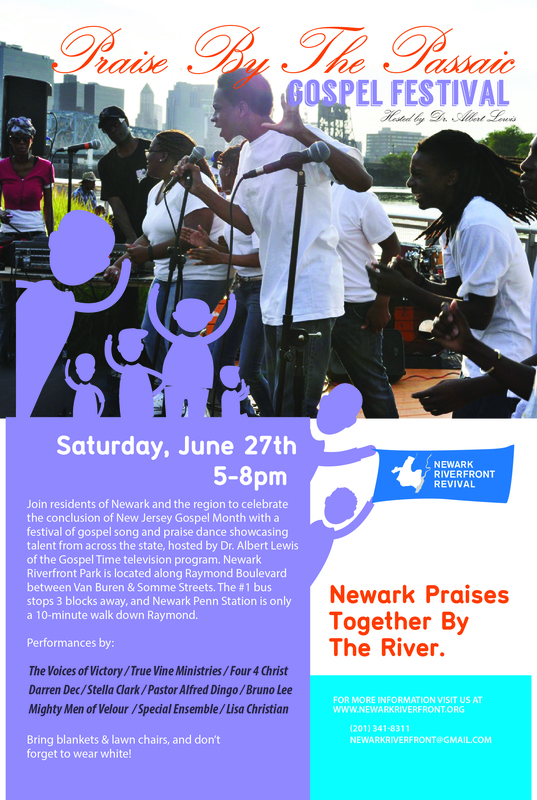 Saturday, June 27th from 5-8pm, Newark gathers together at the Orange Sticks in Riverfront Park for the 2nd Annual Praise by the Passaic Gospel Festival hosted by Dr. Albert Lewis! This special evening will close out Newark’s Gospel Month celebrating the City’s deep tradition of gospel with the joyous sounds of some of Newark’s most talented acts and special guests. *Don’t forget to wear white and bring your blankets and lawn chairs! Want to learn more about the history, development and ecology of Newark’s Riverfront and the Lower Passaic? 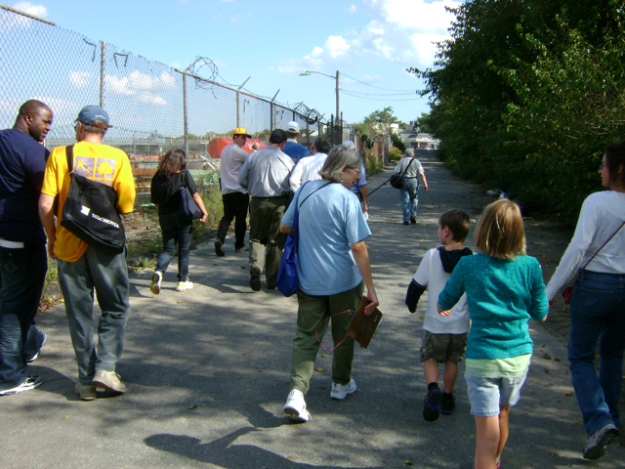 Sign up for our Ironbound Walkshop tour, part I in our three part walkshop series which highlights the stories and triumphs along the Passaic River. The Ironbound Walkshop will leave from Newark Penn Station at 1:00pm this Sunday, June 28th and explore the current Riverfront Park, new developments and beyond the Park in the East Ward. If you are interested in taking the tour please email newarkriverfront@gmail.com or call (201) 341-8311 to reserve your space! Hope to see you down by the river! This entry was posted in Uncategorized on June 24, 2015 by riverfrontcoordinator. 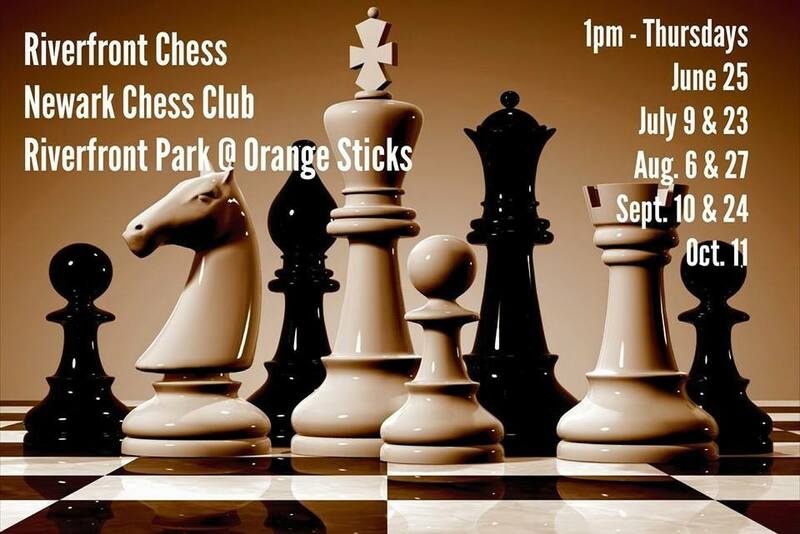 We are pleased to announce the introduction of Riverfront Chess at the Orange Sticks in Riverfront Park beginning this Thursday @ 1pm with‪ Newark Chess Club! This entry was posted in Uncategorized on June 23, 2015 by riverfrontcoordinator. New River Day Date is June 27th! Due to inclement weather River Day was cancelled for today (June 20th). The new date will be in September, announcement to follow. This entry was posted in Uncategorized on June 20, 2015 by riverfrontcoordinator. 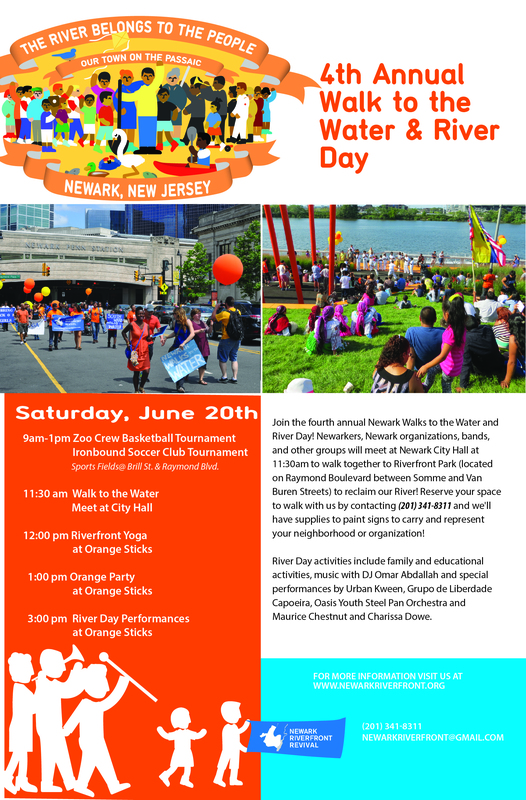 Join Us Today for Newark’s 4th Annual Walk to the Water & River Day!!! Today is the day! 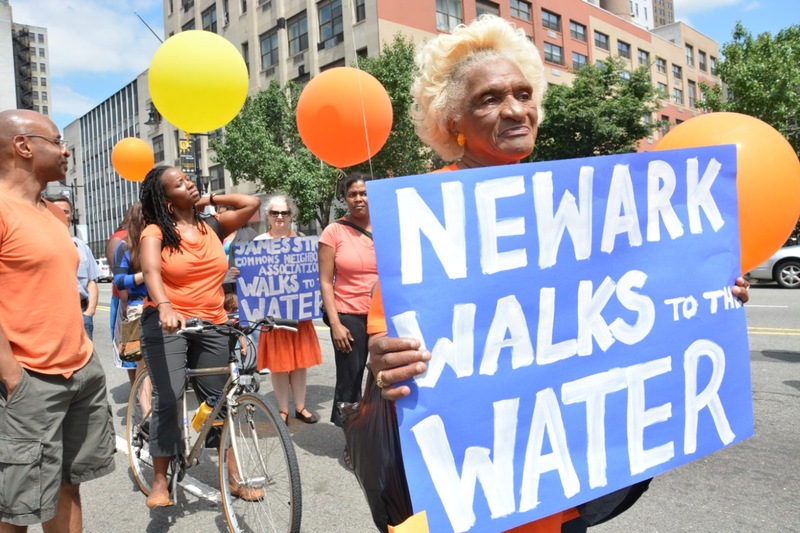 Join Newark Riverfront Revival, Friends of Riverfront Park, the City of Newark, County of Essex, Ironbound Community Corporation, Trust for Public Land and special guests GrassROOTS Community Foundation and our partners for the 4th Annual Walk to the Water! Meet us on the steps of Newark City Hall, located at 920 Broad Street, at 11:30am as Newarkers from all corners and beyond walk to Riverfront Park to reclaim our river and to promote sustainable Riverfront redevelopment, the clean up of the Passaic River, and access to clean and safe open space. Walk with us to the Water and Riverfront Park and stay for a full day of family fun, entertainment and activities from 1-6pm. River Day family and entertainment activities will take place all day beginning with the Zoo Crew Basketball and Ironbound Soccer Club Tournaments from 9am-1pm at the Sports Fields located in the Essex County portion of Riverfront Park located at Raymond Boulevard and Brill Street. Riverfront Yoga will take place at noon at the Orange Sticks located on Raymond Boulevard between Somme and Van Buren Streets. The Orange Party at the Orange Sticks will begin at 1pm with DJ Omar Abdallah and host Starski. The event will begin with a River Reconnection Ceremony at 1:15pm with a welcome from Dr. Janice Johnson Dias of GrassROOTS Community Foundation, music by Emily Turonis, poetry by Urban Kween and more! 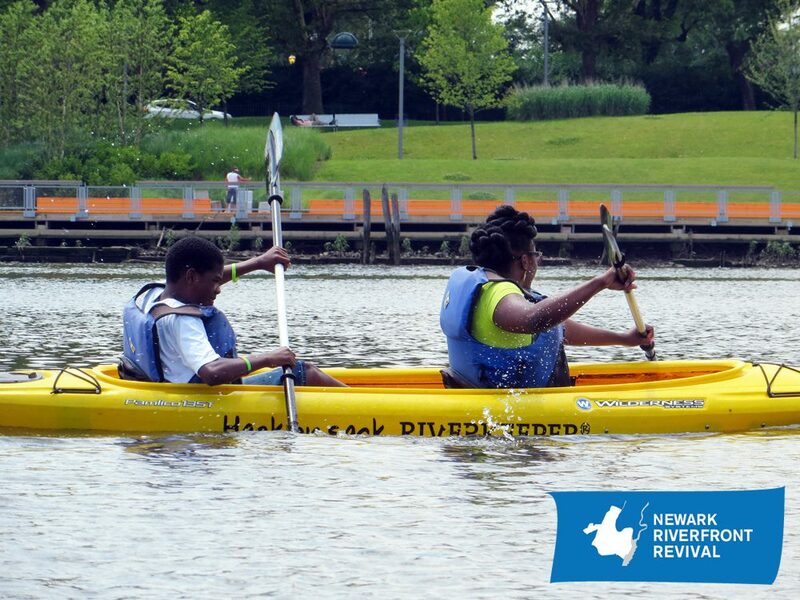 River Day activities (from 1pm-6pm) will include Boat Tours with the Hackensack Riverkeeper from 1-4pm, Zumba, FloydLittle Double Dutch Team, New York Redbulls, Riverfront Chess with Newark Chess Club, Newark Printshop Pop-Up Print Shop, Boat Building with Project U.S.E., Newark Bike Exchange Peddle-Powered Waterfall, Drum Circle, children’s activities and more! Newark Youth Audition Alert for our 1st Riverfront Theater Day Production – DIRT RICH! Calling Newark Youth who are interested in the performing arts! Newark Riverfront Revival is excited to present our first Riverfront Theater Day Production, DIRT RICH, a play by Chisa Hutchinson, directed by Rodney Gilbert of Yendor Productions on Saturday, July 18th at Riverfront Park! AUDITION ALERT (NEWARK YOUTH): Looking for Newark, NJ youth interested in theater to audition and perform in our very first Riverfront Theater Day with the production of DIRT RICH by playwright Chisa Hutchinson, directed by Rodney Gilbert of Yendor Productions on July 18th. Must look between the ages of 11 and 13. This entry was posted in Uncategorized on June 15, 2015 by riverfrontcoordinator.